In a historic moment for Nissan and zero emission vehicles, the 100% electric Nissan LEAF has been awarded 2011 European Car of the Year. The awards are voted for by 59 jury members in 23 countries. The Japanese built hatchback scored 257 points, despite splitting opinion to the point where several jurors placed it in last place. Its total was nine points clear of the Alfa Romeo Giulietta (248 points) and 13 clear of the third-placed Vauxhall/Opel Meriva (244). The remaining finalists were the Ford C-Max/Grand C-Max (224 points), the Citroën C3/DS3 (175), the Volvo S60 and V60 (145) and the Dacia Duster (132). The world’s first mass-marketed, affordable, zero-emission vehicle for the global market beat 40 contenders to win motoring’s most important accolade. This is the first time in the 47-year history of the annual competition that the award has gone to an electric vehicle. Nissan LEAF’s rivals included vehicles from brands such as Alfa Romeo, Citroen, Dacia, Ford, Opel/Vauxhall and Volvo. 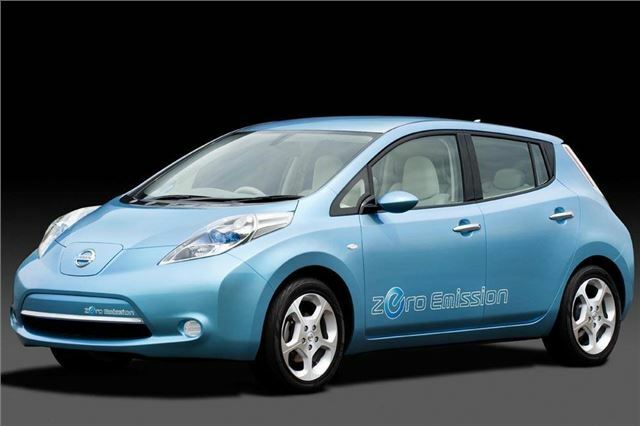 “The jury acknowledged today that the Nissan LEAF is a breakthrough for electric cars. Nissan LEAF is the first EV that can match conventional cars in many respects,” said Håkan Matson, President of the Jury, Car of the Year. Nissan LEAF is powered by a compact electric motor in the front of the car, which drives the front wheels. The AC motor develops a power output of 109PS and 280Nm of torque, enough for a maximum speed of 90mph. The electric motor is powered by a Nissan-developed laminated lithium-ion battery with an output of more than 90kW. The car has a range of more than 100 miles (New European Driving Cycle) between charges making it a practical proposition for many urban drivers. The vehicle is equipped with features such as regenerative braking, air conditioning, satellite navigation, parking camera and advanced on-board IT and telematics systems. Innovative connectivity will allow an owner to set charging functions to monitor the car's current state of charge and the remaining battery capacity, as well as to heat or cool the interior of the car remotely via mobile phone or computer. The Nissan LEAF will be available in five colours in Europe - blue metallic and pearl, white pearl, silver metallic, black solid and red pearl. The single option is a solar panel mounted in the rear spoiler that supports charging of the car's 12V battery used for powering accessories. Deliveries in Japan and the United States begin this December. The first UK customers will get their LEAFs in March. The zero-emission car is currently being built in Japan, but will also be produced –along with its batteries - in Sunderland, England from early 2013. Nissan’s innovative thinking extends beyond zero-emission mobility. Under the PURE DRIVE label, Nissan manufactures an extended line-up of environmentally friendly, internal combustion engine vehicles offering class-leading fuel efficiency supported by advanced green technologies. In Europe, the company will soon launch an advanced petrol-electric hybrid luxury sedan wearing the Infiniti badge, while hugely popular crossover vehicles, such as Nissan Qashqai and Nissan Juke, have created new and exciting vehicle segmentsdominated by Nissan. Next year will also see the arrival of the fourth generation Nissan Micra powered by a supercharged version of an all-new 1.2-litre three cylinder direct injection petrol engine with an Idling Stop system to offer spirited performance and CO2 emissions of just 95g/km. Nissan has won the CoTY award in Europe before. In 1993, the UK-built Nissan Micra became the first car from a Japanese automaker to win the accolade and started Europe’s love affair with the little car that continues today with the recent launch of the newest Nissan Micra model.